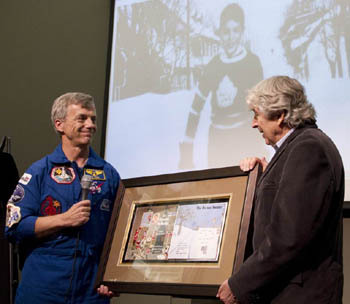 "Roch Carrier's Iconic Book in Space"
Roch Carrier’s iconic book, “The Hockey Sweater”, has been into space and back. 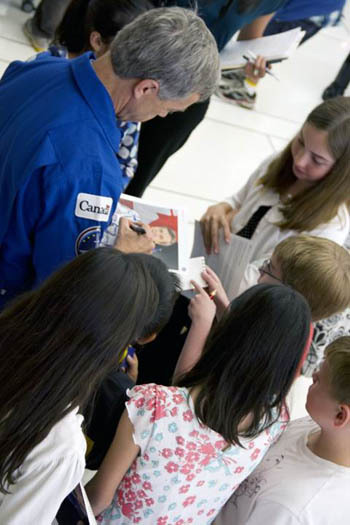 Canadian astronaut Dr. Robert Thirsk took The Hockey Sweater with him during his 2009 mission aboard the International Space Station. 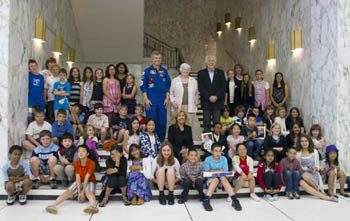 The Friends of Library and Archives Canada and the Canadian Space Agency organized a special event at Library and Archives Canada in June to celebrate. More than 60 students, parents and teachers from Roch Carrier Elementary School participated. 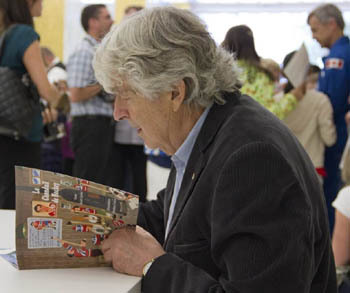 Read full article of the event.